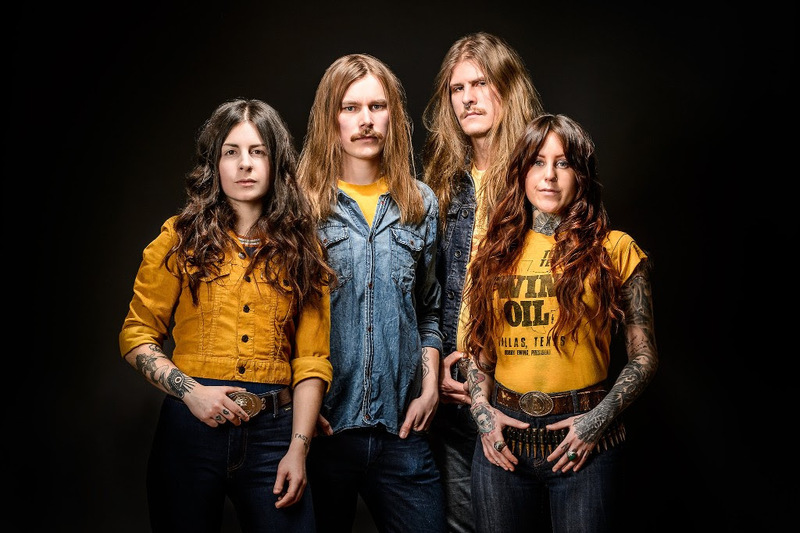 ROCK'N'ROLLERS Honeymoon Disease have released their latest video for track 'Fly Bird, Fly High'. Sounding like a mash up between Fleetwood Mac and early ACDC their music is fun, fiesty and terribly devilish. From Gothenburg, Sweden, the band take the single from their latest album 'Part Human, Mostly Beast' which came out in October through The Sign Records. They're one of those bands who everyone wants to be a member of. Their new video, directed by Jim Nedergård, is an adventure through the bands hometown - setting up their friend Anton Frick Kallmin with a camera and letting him show you all a night out in Gothenburg. Chuck Berry's Rockabilly on steroids, 'Fly Bird, Fly High' uses the very best riffs, beats and drones, complimented by a female led vocal from Jenna which purrs through the motions. Guitarist Acid Disease from Honeymoon Disease said: "'Fly Bird, Fly High' is all about high energy and purple haze with a twist of Chuck Berry vibes. "A mix of 'Roll Over Beethoven' and getting a fix while on the road. "The song came to us during a sweaty jam session but got its real groove when jammed live in front of a fired up crowd in Spain. "For the music video we recruited our dear friend and rock'n'roll maniac Anton (Hypnos) to show the world what it's like for us when trying to kill time between tours in our hometown Gothenburg."